A water-soluble vitamin, vitamin B5 is vital for many processes in the body. A vitamin B5 deficiency can lead to mental disorders, such as anxiety and chronic stress. To stay healthy, you need to follow a balanced diet that should contain an adequate amount of vitamin B5. Taking enough of this vitamin daily will ensure proper functioning of different organ systems. Not only does vitamin B5 help increase the production of neurotransmitters, it also helps with the extract of proteins and fats. The fabrication of steroids is one of many vitamin B5 benefits. Let's find out more about the reasons to get an appropriate amount of vitamin B5. 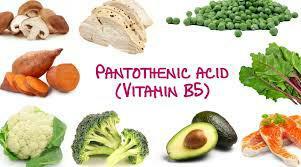 Also called pantothenic acid, vitamin B5 plays plenty of roles in the body. From preventing pain to keeping your brain healthy, it is equally important for both humans and animals. 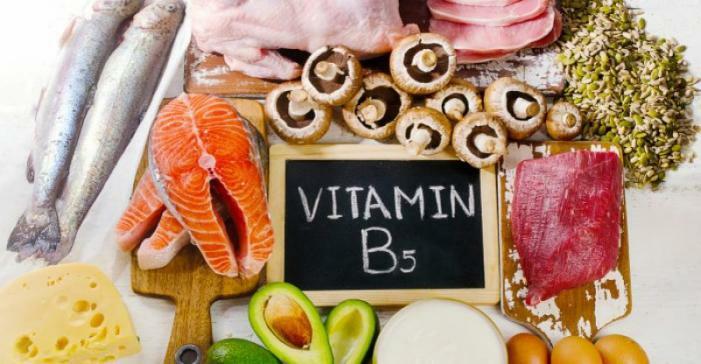 Here are some of the most important vitamin B5 benefits. It has stimulating properties, which is why it plays a big role in hormone stimulation. It regulates the hormones different glands release in your body. It helps maintain the balance between those hormones to prevent any complications. Moreover, it serves a synthesizer of many other enzymatic processes in the body, which is another reason why it is important to take enough of it on a daily basis. It is never easy to avoid stress in today's world, but you will end up developing chronic stress and anxiety if you are deficient in vitamin B5. Studies have found that people who experience extreme mood swings usually have a vitamin B5 deficiency. If you are dealing with anxiety and depression, increasing the intake of vitamin B5 may help reduce your symptoms. The vitamin regulates hormones, so it helps reduce symptoms caused by excess cortisol or stress hormone. The heart pumps blood and makes the delivery of nutrients possible throughout the body. By taking enough of this vitamin, you will help keep your heart healthy. The vitamin is also responsible for keeping your blood vessels free of cholesterol. One of many vitamin B5 benefits is that it helps with energy production. It acts as a coenzyme to different energy-producing chemical reactions and helps with energy metabolism. It ensures that your body breaks down complex carbs and fats efficiency to provide you with enough energy to perform day-to-day tasks. It is important for many other metabolic processes in your body and ensures proper functioning of your brain. Therefore, chronic fatigue may be a sign of vitamin B5. By maintaining a hormonal balance in the body, vitamin B5 helps keep your hair and skin healthy. Its regular intake keeps your skin look younger and healthier. By protecting the pigmentation of hair follicles, it keeps you from dealing with any hair related issues. You can also reduce the appearance of fine lines, wrinkles, and age spots on the face by maintaining a healthy intake of vitamin B5. A proper intake of vitamin B5 supports a healthy nerve function. Studies show that it is essential for the creation of acetylcholine, an important molecule responsible for facilitating communication between your nervous system and your organs. The molecule helps your spinal cord and brain to transfer nerve signals to your heart, immune system, liver, spleen, kidneys, and more. People deficient in vitamin B5 may experience nerve damage, which can lead to impairment in movement. Vitamin B5 plays an important role in the production of hemoglobin. It works with other elements such as copper and iron to generate more hemoglobin. It is also responsible for cell regeneration and cell turnover. By taking an adequate amount of vitamin B5, you will be able to strengthen your immune system. A stronger immune system protects you against diseases and infections. It also helps increase your white cell count to provide your immune system with power to fight off infections. Infants from birth to 6 months should get at least 1.7mg of vitamin B5 a day. Infants from 7 to 12 months should get 1.8mg of vitamin B5 a day. Children from 1 to 3 years of age should get 2mg of vitamin B5 a day. Children from 4 to 8 years of age should get 3mg per day. Children from 9 to 13 years of age should get 4mg of vitamin B5 daily. Individuals over 14 years of age should get 5mg of vitamin B5 a day. Pregnant women should get 6mg/day and breastfeeding women should get 7mg/day. You should get no less than this recommended amount of vitamin B5 a day. Keep in mind that it is water-soluble, so your body will excrete it in urine. Therefore, it is important to get it regularly form your diet to prevent a deficiency. Meat: You can get it from turkey duck, chicken, pork, beef, and animal organs, such as kidney and liver. Fish: You can get a good dose of vitamin B5 from shellfish, lobster, and salmon. Grains: You can get vitamin B5 from whole-grain cereals and bread. Keep in mind that milling can take up to 75% of vitamin B5 from whole grains. 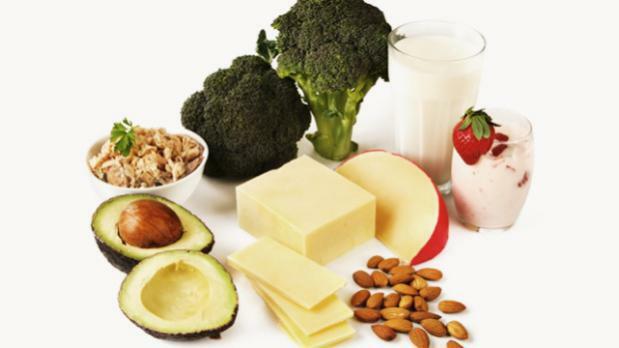 Dairy products: You can find vitamin B5 in milk, egg yolk, yogurt, and other milk products. Legumes: You can find vitamin B5 in split peas, lentils, and soybeans. Vegetables: You can increase your intake of vitamin B5 by loading up on avocado, mushrooms, sweet potatoes, broccoli, kale, cauliflower, corn, and tomatoes. Some other good sources of vitamin B5 include peanuts, brewer's yeast, wheat germ, sunflower seeds, oatmeal pantothenic acid, and royal jelly. There are many good food sources of vitamin B5, but it is lost during processing, freezing, canning, and milling. Therefore, you will be better off preventing refined food – opt for raw, fresh food instead.